New Clients-ready to find your new Happy Place and empower the best version of yourself?! Get our best deal, unlimited classes for 30 days and lock in our lowest unlimited rate if you stick with it! 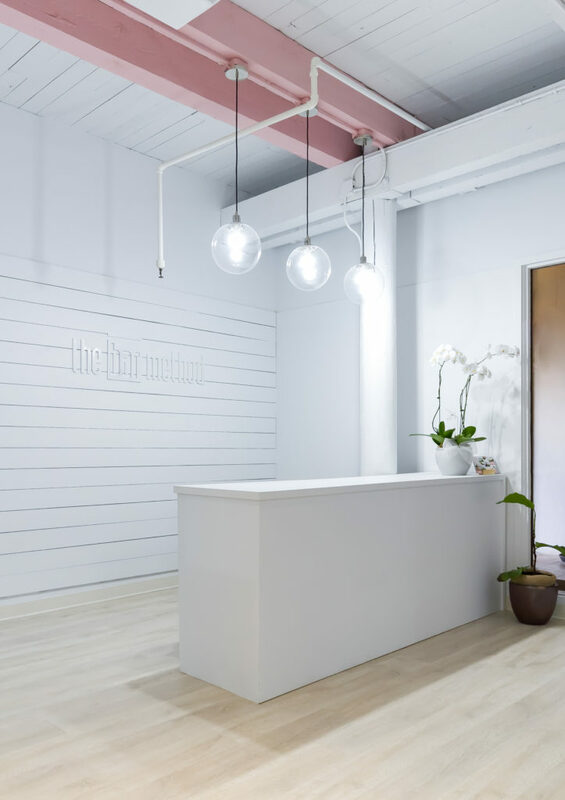 The Bar Method Kailua is a boutique fitness studio offering barre classes for students of all levels. The signature method uses your own body weight, the ballet barre and a few props to create a transformative workout that results in long, lean sculpted muscles. Not only does it reshape your entire body, but it allows you to channel your inner strength and leave class feeling strong, confident and poised. Highly-trained instructors customize the exercises to ensure they are safe and effective for any age and every body, including modifications for pregnant women and students with injuries. Our staff and community are here to support you from the moment you walk through the door. 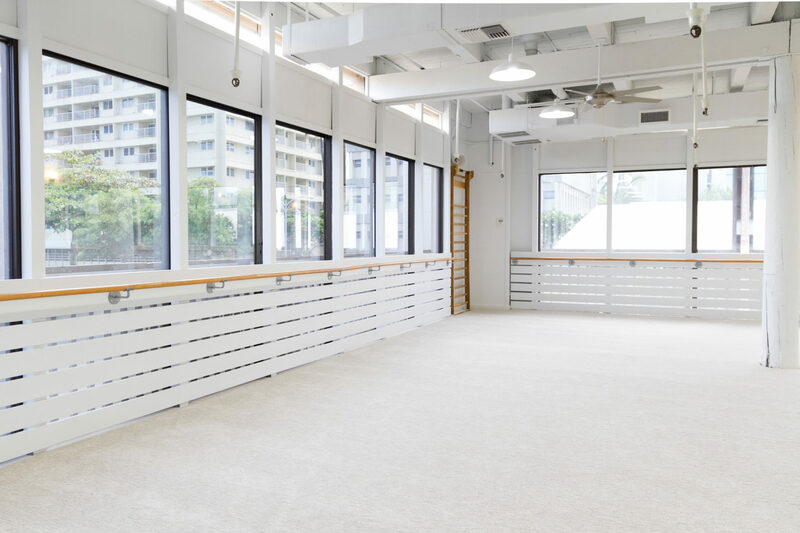 We are Hawaii’s top boutique fitness studio offering barre classes for a range of fitness levels and body types. From beginners to barre all the way to the advanced barre enthusiasts, including expectant mothers and those with injuries -- all will experience the benefits of our unique classes. The studio is located in the heart of Kailua, above the popular Cinnamons Restaurant. MULTIPLE CLASS POLICY: Once you take 1 class in a day, any additional classes must be as a walk in client. This allows every client the ability to take at least 1 class per day. You are allowed up to 2 classes per day, but the second class (chronically) of the day must be as a walk in. Example: client walks into their first class of the day at 5:45am, any additional classes must be as a walk in. Reminder: Being bumped off the waitlist into class means you are IN CLASS and therefore responsible for confirming or cancelling your spot. Late Cancel/No Show policy applies. If you get into class from the waitlist with less than 2 hours prior to class start and do not show up or cancel your reservation you will be charged. If you are moved off the waitlist more than 2 hours before the start of class you will not be charged. If you are a Bar Method Member, or use another unlimited package, you will be charged $10 if you cancel within the two hours before class and $20 if you are a no-show. Yearly membership cannot be cancelled nor transferred, no exceptions are made. You are responsible for submitting written cancellation 5 days prior to last class you want to take OR next autopayment for monthly memberships. Monthly memberships not pro-rated nor refunded once processed. Class packs are non-refundable, non-transferable. To maintain a clean studio, socks that cover the entire foot, exercise pants to the knee or below (compression shorts must be worn underneath if pants are loose fitting), and tops that cover midriff and waistband of pants. Socks must be on PRIOR to entering the studio and must stay covering the entire foot throughout class. No open toed socks are permitted in the studio room. Please do not bring cell phones into the exercise studio. If you are on call you may leave your phone with the front desk. New Client Specials and other introductory deals are only offered to clients who have not visited our studios. The Bar Method is a wonderful workout for women throughout their entire pregnancy. We do request clients consult with provider throughout Bar class membership but we do not require a written note from a doctor. Please inform your teacher you are pregnant prior to class time. We have adopted several modifications for your safety and comfort that allow the exercises to be performed throughout the pregnancy. Clients pregnant 20 weeks or more have required modifications. Our teachers will always take the time to over these modifications with you. No one under the age of 16 is permitted at The Bar Method Kailua. This includes taking class and sitting in the waiting area. Although we love your keiki, we cannot allow you to bring your children to the studio. 16 year olds require a parent present for first class and parental waiver on file on the first day of class. We do not allow anyone, adult or child, to sit in the lobby while you take class. We do not have the insurance or licenses for offering childcare. If you bring a child with you, we will have to ask you both to leave. Children at the age of 16 may attend class, but must have a signed parental permission waiver. Please email [email protected] to receive this form. Our teachers are expertly trained to provide modifications for almost all situations, just ask! All monthly members are able to purchase a freeze for their account. The freeze must be a minimum of 15 days and will be charged $1 per day. Yearly members and class pack clients are not eligible to freeze account. To set up your freeze, email [email protected] and provide a start and end date to your freeze. You may not backdate a freeze. Class package sessions must be started within 12 months of purchase unless otherwise stated. All class purchases are non-refundable after 7 days and non-transferable. No refunds or pro-rating are given for classes already taken. Our teachers are expertly trained to ensure our clients are in the safest, most effective form in class to change your body. Please allow yourself 10 to 15 extra minutes to find parking and ensure you make it to class in time. There is metered parking on site at the studio. In addition there is ample metered street parking on Uluniu st. and Alike st.
We look forward to introducing you to The Bar Method Kailua ohana!